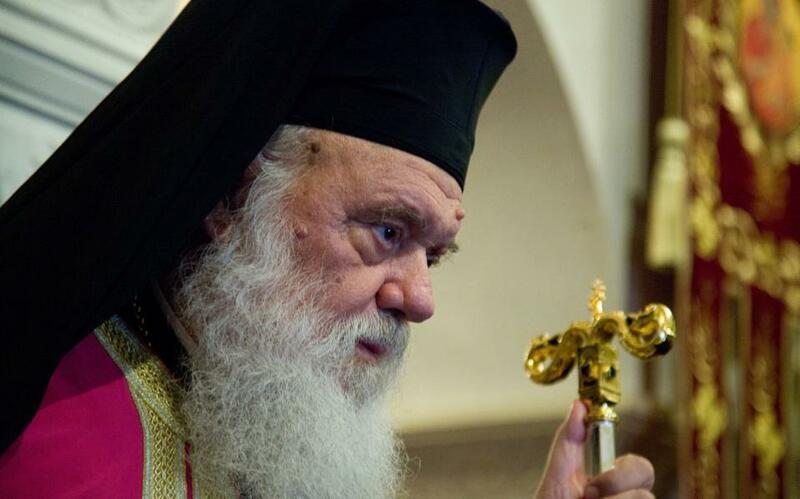 The row between the government and the Church of Greece intensified on Friday, when Archbishop Ieronymos and Education Minister Nikos Filis exchanged angry letters regarding the coalition’s decision to change religion classes at schools. The dispute has been ignited by Filis’s attempt to change the way schoolchildren are taught about religion. He wants the classes to be more like religious studies than lessons taught on the basis of the catechism. However, this prompted a reaction from the Church, which then triggered a backlash from Filis, who questioned the Church’s role during the 1967-74 military dictatorship. “The matter of the Church is one for the people and not for a minister,” wrote Ieronymos in his letter, which he also used to hit back at the accusation that the Church enjoyed a cosy relationship with the junta. The archbishop said the Church’s role had been “consistent and irreproachable,” and claimed that any criticism was prompted by the “ideological interpretations” of critics. He also provided examples that he argued proved the institution had been sidelined during the dictatorship. Filis hit back without concealing his frustration that the letter had been leaked to the media. But he also attempted to bring the public spat to the end. Filis said that issues such as religion classes should be debated in person and not via correspondence. “You know I am always open to discussion and a meeting with you,” concluded the minister.